New York – August 3rd, 2009. SUEZ launched “Go Paperless eBilling” with Striata and Speedpay® service (A Western Union Company) Financial Services in December, 2008. SUEZ provides water services to 7.3 million people in the United States, with billing territories in Idaho, Pennsylvania, New York and New Jersey, among others. Customers can now receive their SUEZ bills delivered securely into their email inbox, and make one click payments, without the need to register online, choose and remember a username or password, or link to any website. “The biggest barrier to paperless adoption for billers is getting customers to register at their website. It requires expensive and sustained marketing. History has shown that over a 3 year period, no more than 10% of consumers on average, will do so. By removing this requirement and proactively delivering the bill via email, SUEZ is able to drive quick and significant paper suppression, as well as offer an experience to the consumer that is far more convenient than either the paper bill or an online billing portal”, says Striata. The eBill is an exact replica of the paper bill and also includes the innovative Striata BillPay, one click electronic check payment facility directly from within the eBill itself, at no cost to the customer. Payments are processed by Speedpay® service Financial Services, SUEZ’s payment processing partner. Credit and debit card payments can also be made through Speedpay® service for a nominal convenience fee. Recipients are able to view and pay their bill with just two clicks – the ultimate in convenience. Striata email bills are also viewable on Blackberry and Windows Mobile devices. 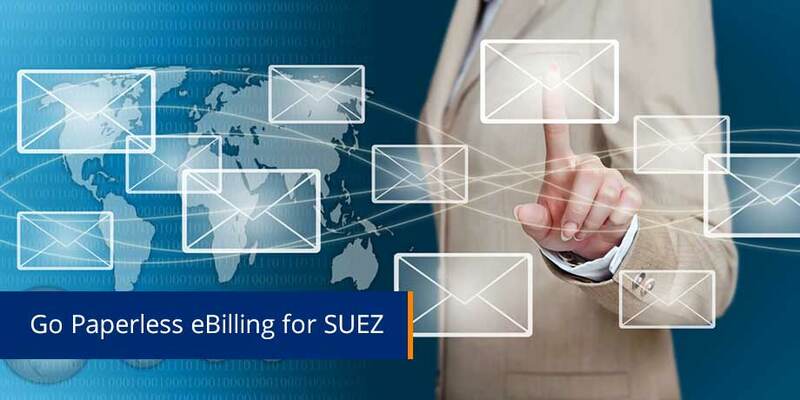 The Striata Email Collection team is working closely with SUEZ to gather customer email addresses and gain permission to deliver eBills in this manner. Less than 2% of recipients have selected to revert back to a paper bill after receiving their SUEZ eBill via email. Striata monitors email inbox penetration and click tracking on marketing offers within the eBills. Striata deliverability specialists ensure that 99.6% of SUEZ eBills are successfully delivered. “Our target is to have 18% of all of our customers go paperless within 18 months – a goal that we feel is very achievable. We have seen Striata achieve this with other Utilities and are confident we can do just as well,” says Ford.